Because of the excellent platform created by DBT in the last 35 years, India is poised as the biotechnology hotspot amongst developing countries. 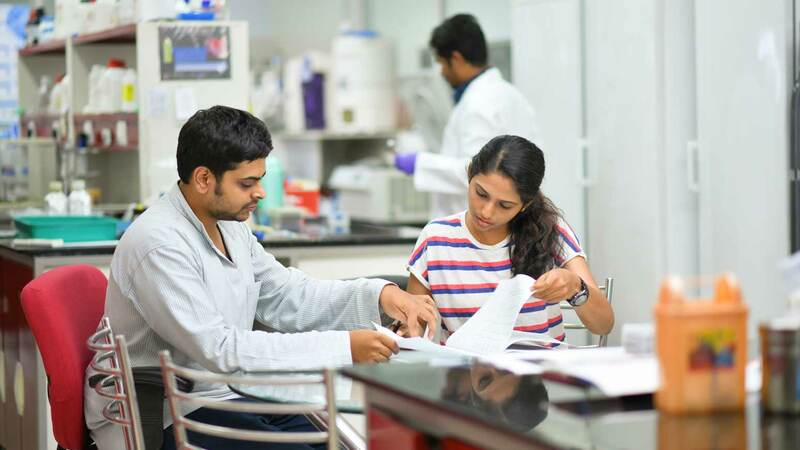 RGCB is strategically positioned to contribute to a special high-risk area of research by creating a translational centre connecting with industry, startups and entrepreneurs through Department of Biotechnology. 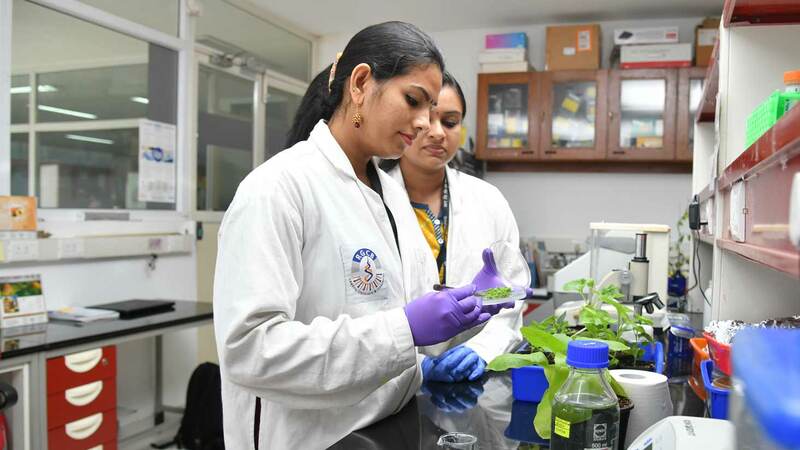 RGCB has given a major thrust on innovation and entrepreneurship with a bench to bedside (B2B) approach to nurture the innovations developed in the bio-ecosystem of the institute. RGCB understands the clear-cut interdependence of innovation and entrepreneurship to cash in the return on investment made in innovation. 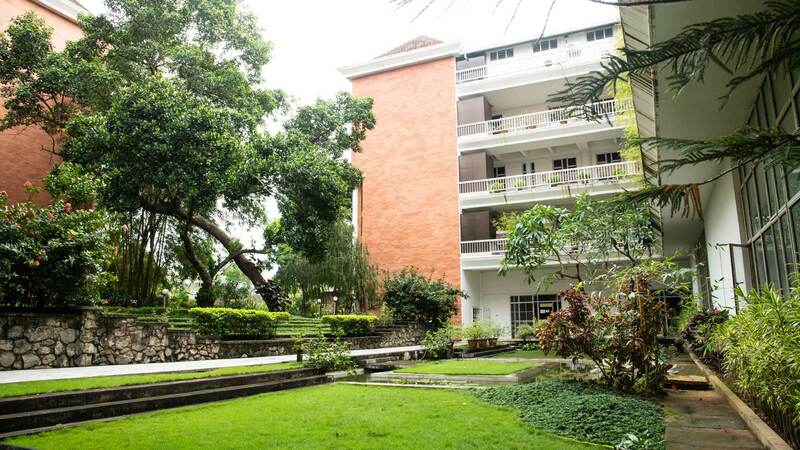 RGCB has two such centres outside the main campus, one about 17 km away and the second one at Kalamaserry, Kochi. The emphasis of Make in India, Stand Up India, and Startup India launched by the government is on creating a conducive environment for home-grown innovation and entrepreneurship to solve some of the biggest challenges that India faces. Microtubule binding drugs are of special interest as they have important roles in the modulation of cellular functions and many of them act as anticancer agents. Derivatives of diaminoketothiazoleare for inhibitors of cyclin-dependent kinases and glycogen synthase kinase-3 and thus could be useful for the treatment of malignancies and diabetes. The method allows the synthesis of diaminoketothiazole wherein the 2-substituted amino group and 5-acyl group can be widely varied for solid phase and combinatorial library synthesis of 4-amino-2-(aryl/alkyl) amino-5-alkanoyl/hetaroyl/aroylthiazoles (DAT). It shows cytotoxicity with GI50 values ranging from 0.05 to 1 μm in different malignant cell lines with an average value of 0.35 μm. The binding site of this molecule on tubulin overlaps with that of the conventional colchicine-binding site. The present invention isa new solid phase method for the preparation of DAT to make this lead molecule as a new class of small molecules as a potent antimitotic agents for the control of cytoskeletal functions and cell proliferation. Cervical cancer is the most frequently diagnosed cancer of females in developing countries and the second most frequent cancer affecting women worldwide. Taxol is the best anticancer agent ever been isolated from plants, but its major disadvantage is the dose limiting toxicity. RGCB scientists developed a combination treatment synergism of great effectiveness by combining Curcumin and Taxol. Potential molecular mechanism supporting this synergistic effect was assessed with emphasis on determining whether the combination treatment enhanced inhibition of the anti-apoptotic signal transducers Akt and NF-kB leading to increased activation of caspase mediated apoptosis. Moreover, combinatorial strategy dramatically lowered the inhibitory concentration of Taxol to induce a cytotoxic response, suggesting that Curcumin may have potential for use in combination regimens with Taxol. Recently, production of synthetic peptides is achieved commercially by solid-phase peptide synthesis (SPPS) or in combination with solution phase method pioneered by Robert Bruce Merrifield. SPPS allows a rapid assembly of a peptide chain through successive reactions of amino acid derivatives on an insoluble porous support. The solid support consists of small, polymeric resin beads functionalized with reactive groups (such as amine or hydroxyl groups) that link to the nascent peptide chain. A new polymer support and a process for preparation of the latteris developed for solid phase synthesis of peptides. This support comprises a polystyrene back bone with propoxylatefunction of hexanedioldiacrylate crosslinks with an optimal hydrophilic/ hydrophobic balance with high coupling efficiency and minimal beta sheet formation. The said polymer shows very effective swelling in both polar and non-polar solvents with good stability to withstand vigorous peptide synthesis condition.The chemical inertness of the support was ascertained and checked with different reagents used for solid-phase peptide synthesis. Invented novel process of preparation allows making the support in bead form with required size distribution. Many brain diseases such as Alzheimer's disease and Stroke and cardiovascular diseases such as Hypertension and Arrythmia involve impaired functioning of calcium channel proteins. Inhibiting calcium channels using drugs is a strategy for controlling these diseases. Calcium channels are also involved in sensing taste and pain. Thus modulators of calcium channels can also be pain killer drugs as well as taste modulators. Calcium channel inhibitors are discovered by high throughput screening. The success of this process critically depends on the assay method for measuring the activity of calcium channels. For high throughput screening, simple and inexpensive techniques are desirable. Currently this is done using real time techniques that require sophisticated instrumentation and specialized skills thereby making the process tedious and expensive. We have developed a novel method that utilizes the calcium dependent stable interaction between two proteins. This is an "end-point detection method" that is fundamentally different from the existing methods and offers an easy and cost effective option for calcium channel directed drug discovery. A calcium sensor vector and a calcium sensor cell line are available as tools to perform this technique. This technique has already proved its utility by enabling the discovery of several calcium channel blockers. We have developed a set of compounds that exhibits neuroprotective properties in vitro and in vivo by inhibiting multiple therapeutic targets relevant in Alzheimer’s disease (AD). Impairments in cholinergic and glutamatergic neurotransmission contribute to progression of AD. Most of the approved drugs for AD treatment are acetylcholinesterase (AChE) inhibitors or N-methyl-D-aspartate receptor (NMDAR) antagonists that work by restoring cholinergic neurotransmission and by limiting glutamate mediated excitotoxicity respectively. Tacrine is a pharmacological inhibitor of AChE that used to be an approved drug for AD treatment. It is also an antagonist of NMDAR with reduced potency (Hershkowitz and Rogawski, 1991, Mol. Pharmacol., Vol. 39, pp.592-598). Hence, at the therapeutic doses of tacrine that are sufficient to inhibit AChE, NMDAR inhibition would be limited. At therapeutic doses however, tacrine caused side effects such as hepatotoxicity which eventually led to its withdrawal from the market (Gracon et al, 1998, Alzheimers's disease and associated disorders, Vol.12, pp. 93-101). If the inhibitory potency of tacrine is increased, the dosage could be reduced to bring the hepatotoxicity within safety limits. With this objective, we designed novel tacrine derivatives that were evaluated for their binding potency using structural bioinformatics tools. The most promising of the derivatives were synthesized and their potency to inhibit AChE, butyrylcholinesterase (BChE) and NMDAR were evaluated. It was found that 14 derivatives had appreciable NMDAR inhibitory activity with a few of them showing more than 100-fold higher potency compared to tacrine. These compounds have the potential to be used in conditions in which NMDAR is the preferred primary target such as stroke, ischemia and chronic neuropathic pain. Some of the derivatives also showed improvement in AChE inhibitory activity. Interestingly, 11 derivatives showed beta secretase-1 (BACE-1) inhibitory activity unlike tacrine. Thus, the derivatives were active against multiple therapeutic targets for neuroprotection. Hepatotoxicity of all the compounds studied were either less or comparable to that of tacrine which were assessed through cytotoxicity assays on HepG2 cells. Compounds with minimal IC50 value for NMDAR inhibition and minimal cytotoxicity in HepG2 cells were further tested for their neuroprotective properties in primary neuronal culture system. They were able to protect rat primary cortical neurons from glutamate induced excitotoxicity at significantly low concentrations (upto about 0.3 µM) compared to tacrine (IC50 value of 500 µM; Davenport et al, 1988, Eur. J. Pharmacol., Vol. 154, pp.73-78). The compounds were further tested in a rat in vivo model in which excitotoxic damage was induced by administration of monosodium glutamate (MSG) and performance in the Morris water maze (MWM) test was studied. Impaired performance in MWM test, induced by MSG administration could be ameliorated by pretreatment of the animals with the compounds by intraperitoneal administration. Thus we present a set of derivatives of tacrine that have been shown to be neuroprotective in vitro and in vivo with significantly improved efficacy. Since tacrine was once used as a drug in clinics, development of its derivatives into drugs also has the advantages of repurposing. The present invention demonstrates allicin-induccd apoptosis of cancer cells. 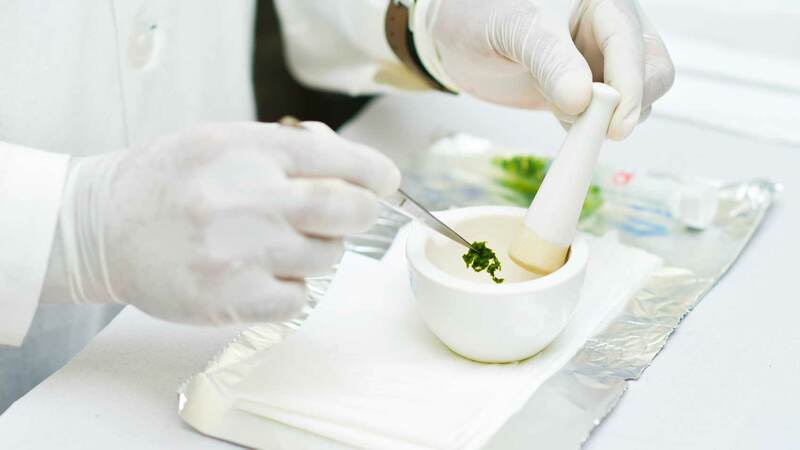 It provides a mechanistic basis for the anti-proliferative effects of Allicin and partly account for the chemopreventive action of garlic extracts. The invention relates to a synergistic composition comprising a garlic organo- sulphur compound and an anti-neoplastic agent as an inhibitor of nuclear factor kappa B in the ratio of 2:1 range. The preferred organo-sulphur compound from the lot is diallyl trisulphide (DATS). The preferred antineoplastic agents are known to activate NF-kappa B such as Ara-c, Bleomycin, Camptothecin, Cisplatin, Dacarbazine, Daunorubicin, Doxorubicin, Etoposide, Protease inhibitors, Taxane, Taxoids, Irinotecan, Vinblastine, Vincristine etc. A dose dependency was also established for the combination. A scalable and easy extraction process from Aegle marmelos fruit is developed and found active against Mycobacterium tuberculosis in vitro for the treatment of tuberculosis. Sorafenib is used to treat advanced liver cancer (HCC) that cannot be completely removed with surgery. It is taken as pill that is swallowed (orally). The side effects of sorafenib include diarrhoea and certain skin problems. In April 2017, the U.S. Food and Drug Administration (FDA) approved the use of another targeted therapy, regorafenib (Stivarga), to treat people with HCC that was previously treated with Sorafenib. Regorafenib also inhibits angiogenesis, and it is already used to treat colorectal cancer and gastrointestinal stromal tumors. In August 2018, the FDA approved another anti-angiogenesis targeted therapy, called lenvatinib (Lenvima). This drug is approved as a first treatment for HCC that cannot be removed by surgery. The most common side effects of this drug included high blood pressure, fatigue, diarrhea, appetite loss, joint and muscle pain, weight loss, abdominal pain, rash, redness, itching or peeling of the skin on the hands and feet, hoarseness, bleeding, change in thyroid hormone levels, and nausea. RGCB has identified a molecule Uttroside B isolated from the leaves of Solanum nigrum having selective cytotoxic activity against liver cancer cells with an IC 50 value of 500 nM which is ten times less than that of Sorafenib (5,8 uM). The anticancer activity was established in both invitro and in vivo models using both acute and chronic toxicity models in Swiss albino mice. In vivo studies using HepG2 xenograft model in NOD.SCID mice also showed the efficacy of this molecule. Further preclinical /clinical evaluation is underway in RGCB. A series of host defensive peptides from endemic amphibian fauna of Western Ghats (Hydrophylaxbahuvistara) were isolated and characterised. Two novel peptides viz. brevinin I (HYbaI) and brevinin2 (HYba2) were found to have wide spectrum antimicrobial activity against microorganism of both Gram positive and negative categorieswith a an MIC range of 1,5 μM to 100 μM without any haemolytic activity. They also exhibited a pronounced cytotoxic activity against Hep 3B cancer cell line. The invention also covers amidated forms of peptides showing increased biological property in antimicrobial and cytotoxicity. The mechanism of antimicrobial activity is by nonspecific pore formation on the bacterial cel wall by interacting with cation binding site. Dendrimers are highly ordered, hyperbranched polymers with potential for a whole range of chemical applications. Solution-phase synthesis of dendrimers is often challenging, requiring long reaction times and nontrivial purification; solid-phase methodology, on the other hand, enables reactions to be driven to completion by using a large excess of reagents leading to reaction completion and ease of purification. RGCB has developed a method for synthesis of a dendrimer polymeric resin for solid phase organic synthesis comprising of Polystyrene back bone having multiple dendritic PEG units. The process is done using suspension polymerization of Styrene monomerwith Divinylbenzene as as cross linker. The said polymer has two reactive dendritic sites and the number of dendritic sites can be increased by modifying the reaction and addition of more Schiff base moiety to the polymer followed by attachment of PEG units. A poly herbal cleansing composition that is used as an oral wash for delaying the onset of oral mucositis in cancer patients undergoing radiotherapy treatment.